With Teamup Calendar, you can add signups to any event. 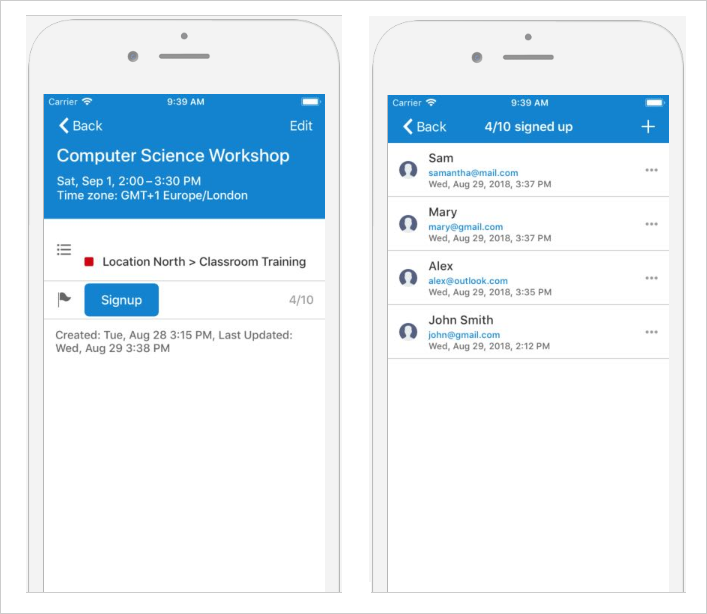 Teamup mobile apps for the iOS and Android devices include the event signups feature, as well. 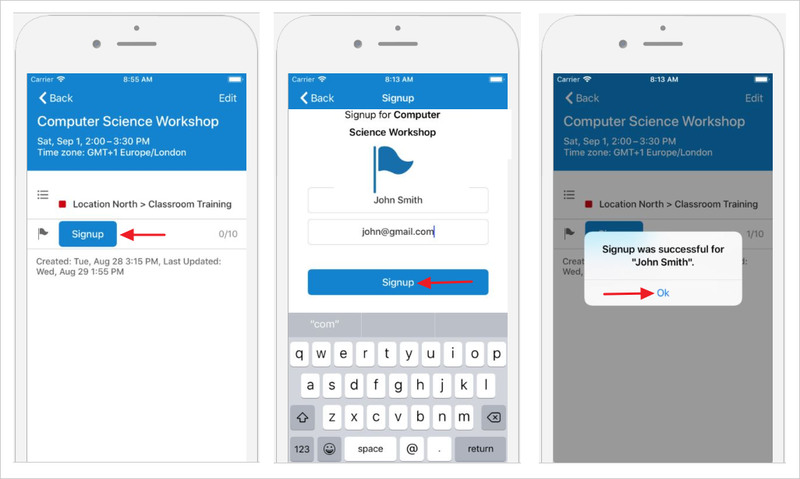 You can enable and configure signup for an event right from your mobile device. To learn how to use event signup in the web browser, see this article. Tap the gear icon to access the event options, and select Signup. Signup deadline: the default setting is the time and date of the event itself. Max number of signups permitted: when the maximum is reached, additional attempts to sign up will not be permitted. If you do not wish to set a maximum number, you can toggle this option off. Who can see the signup list: all users, or users with modify permission. If you make the signup list visible to all users, email addresses are automatically masked to protect privacy. Once signup is enabled by the event organizer, a signup button will appear in the event viewer. Any potential participants can sign up by clicking the button. They will be prompted to enter a name and email address. The number to the right of the signup button shows the number of participants. Tap the number to see the participant list. The event organizer (and anyone with modify access) can see both the name and the email address of a participant. If the organizer has made it possible for all users to see the participant list, they will only see the names of participants. Email address will be automatically hidden.